The Wild Berries eliquid pod by Vype have been designed for use with the ePen 3 Vape Starter Kit only. The berry flavour starts off sweet and quickly turns tart with juicy notes throughout for a balanced vape. 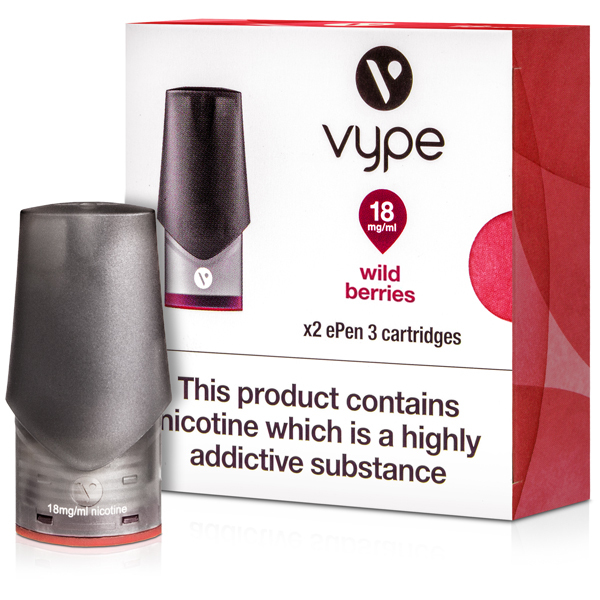 Each Vype Pod is prefitted with a coil that creates a mouth to lung vape. This range of eliquid pods is available in 6mg, 12mg and 18mg nicotine strengths.